Arrests are up from last year but hospital visits are down for the large music festival. DOWNTOWN — Arrests were up and hospitalizations were down at this year's Lollapalooza music festival. The large festival, which ran Thursday through Sunday, saw 234 people hospitalized this year. It also saw 27 arrests and 29 citations handed out, according to information from the Office of Emergency Management and Communications. That's more than the city saw during the festival last year, when 12 people were arrested and 16 citations were issued. 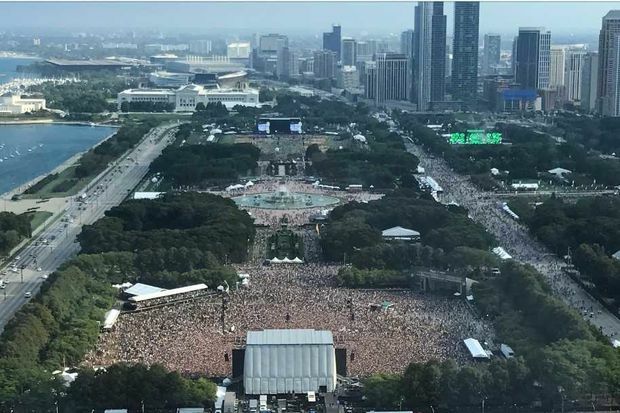 Paramedics took 268 people to hospitals during Lollapalooza in 2016. In 2015, there were 34 arrests and 61 citations during the then-three-day festival. The festival saw 238 people taken to hospitals that year.